Little, Brown and Company, 9780316254007, 288pp. Russell's Knob is not paradise. But already in 1849 this New Jersey highlands settlement is home to a diverse population of blacks, whites, and reds who have intermarried and lived in relative harmony for generations. It is a haven for Dossie Bird, who has escaped north along the Underground Railroad and now feels the embrace of the Smoot family. Duncan Smoot presides as accidental patriarch, protector of his enterprising sister, Hattie, and his two rambunctious nephews. As Dossie busies herself with cleaning, cooking, and tending the chickens at Duncan's homestead, she wonders: Could this man, her rescuer--so godlike in her eyes, so much older than she--expect her to become his helpmeet?. Tentatively, Dossie begins to put down roots--until a shocking act of violence propels her away from Russell's Knob and eventually into the mayhem of New York City's mean streets. 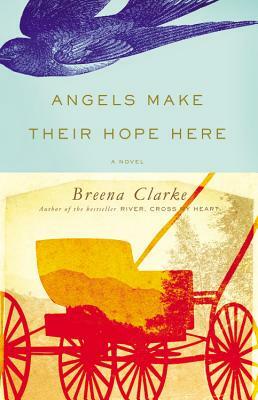 With the same storytelling brio that distinguished the acclaimed novels River, Cross My Heart and Stand the Storm, Breena Clarke weaves a richly dramatic story of interracial harmony in the Civil War era--and of one woman's triumph in the crucible of history. Breena Clarke grew up in Washington, DC, and was educated at Webster College and Howard University. She is the author of two widely praised novels, River, Cross My Heart, which was a selection of Oprah's Book Club, and Stand the Storm. She lives in Jersey City, New Jersey.